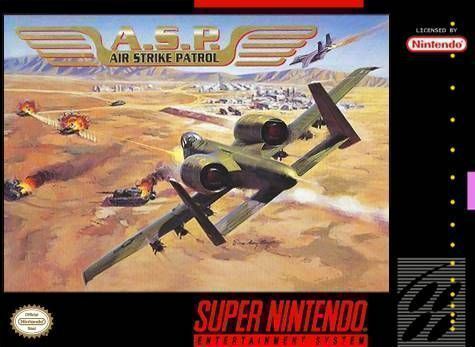 Air Strike Patrol for Super Nintendo has you flying an A-10 or F-15 jet in order to restore peace to your homeland from a military invasion. There are eight missions to complete and different endings based on your performance. Watch your in-game progress on the television news station that provides updates and coverage of your war.